Ted X Youth- Christian Williams embodies determination. 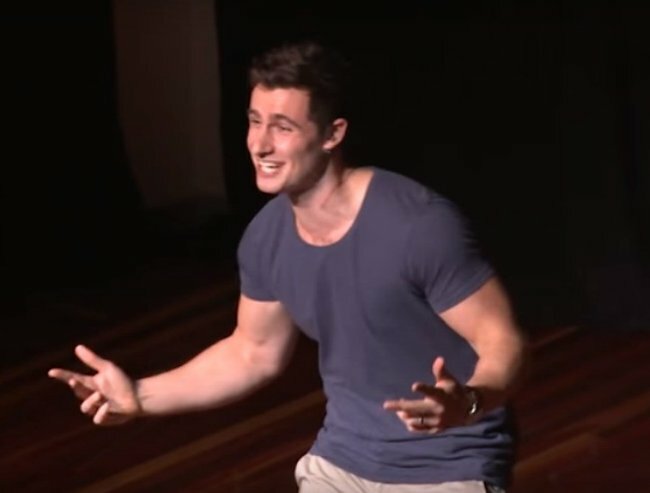 "The only reason I’m alive today, is because of 3 magic words..."
That is how Christian Williams began his TedxYouth Talk on the weekend, before going on to tell a story of perseverance and determination that defies all logic. As a teenager, Williams was a self-confessed ‘geek’. He didn’t have many friends and he was struggling in school. “I hated my life and I didn’t think I had a pretty good future” he said. But after watching American Pie – admittedly, not a film you would expect to inspire life-changing epiphanies – Williams had an idea. Like the cool kids in this teen movie, he wanted to play lacrosse. So he tracked down the Australian captain, and asked for advice. What came next? Hard work. Lots of it. But when he began passing out and suffering chest pains when running, or undertaking any form of exercise, Williams knew something wasn’t right. So he took himself off to the doctor. “He was like ‘you’re either incredibly fit, or you have a serious heart problem.&apos;” Taking his athletic ability into account, Williams hoped and believed it was the prior. But things got worse. So he went back to the doctor, multiple doctors in fact. But over and over again he was turned away, as they believed he was on drugs. Finally, at a loss for what else to do, Williams marched himself into the Alfred Hospital and demanded answers. He got them. And they weren’t good. Overcome by this devastating news, Williams ripped out his drips and leads and ran, hiding under a stairwell in the hospital. There, he curled up in a ball, and he cried. And what Williams went on to achieve is undeniable proof of that. He tracked down the Olympic gold medalist in hammer throw, and flew to Japan to be trained by him. When his health got in the way right before a national competition, (“weights and heart failure don’t really mix”) Williams was forced to retire. His next endeavor? Again, after a tireless crusade to find a champion willing to give him advice, a member of team USA told him what he had to do to qualify. Push ups and pull ups. Lots of them. For someone with Williams’ degree of ill health, it seemed like an impossible endeavor. But evidently, ‘impossible’ is not a word in this man’s vocabulary. He began a training regime that led him to do 10,000 pull-ups over a six month period. He underwent the tests and became a member of the Olympic luge team. When it came to his first competition, in a sick twist of luck, Williams broke his leg. 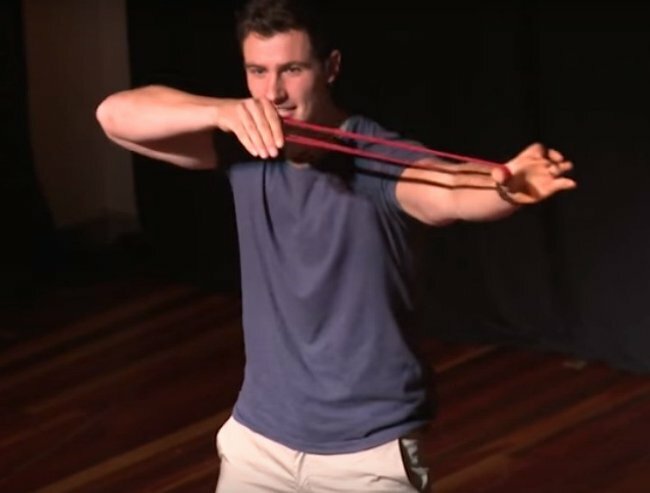 “Hey, if I stand still… I can do archery.” Unbelievable. Within a matter of months Williams was only a few points off qualifying for the Olympics in archery. And again, he was knocked back. His medication was banned, and Williams was forced to take a step back. Today, he is a full time teacher, and an ambassador for HeartKids. Williams also mentors other young people suffering heart conditions. 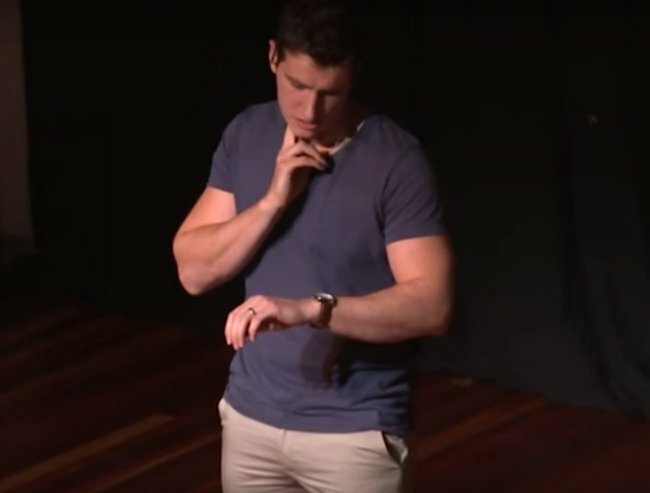 He was a 2015 state finalist for Young Australian of the Year. Williams finished off his Ted Talk by reiterating the message that has provided support and inspiration through all his incredible accomplishments.